First things first. 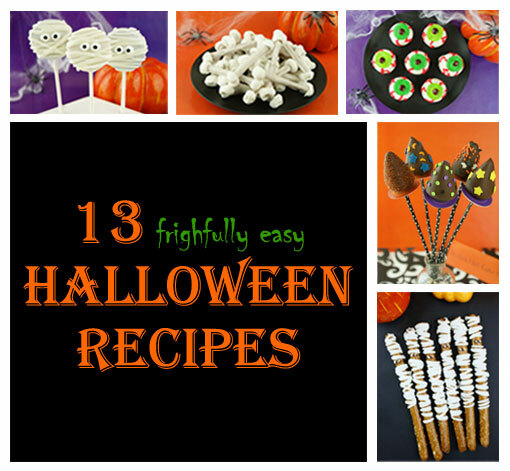 13 Halloween Recipes…a roundup of fairly easy Halloween Treats. 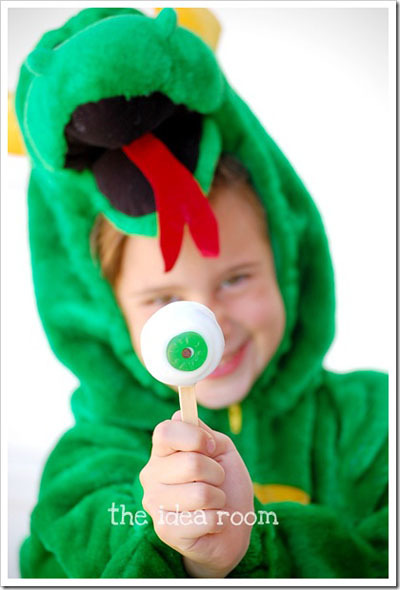 Thank goodness, Halloween is a week away afterall! I would have normally been bombarding you with blog posts several times a week. But, I had to make an appearance on live television (scary!). 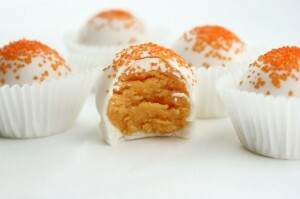 But, I had to add thousands hundreds of recipes to a brand new CandiQuik.com. (SO excited about this!) Want to see the progress? Check it out HERE. Ok, I’m done with my buts. There are no excuses. I’ll make up for my lack of posts right now (and kill 13 birds with one stone). 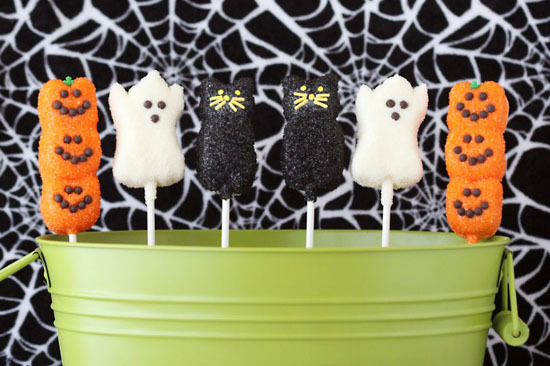 You could totally pull most (if not all) of these treats together last minute for a classroom handout, Halloween party, gift basket, or you name it! 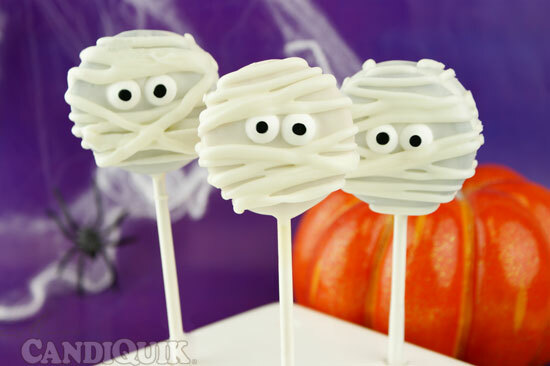 These little mummy pops were so easy to make…not much you can mess up on here! 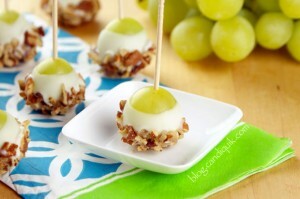 Dip Oreo pops into the CANDIQUIK; let the excess coating drip off. 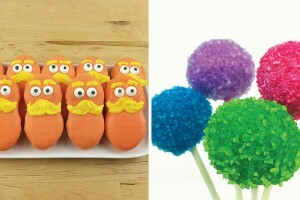 Press candied eyes onto the pops. Place in a Styrofoam block to set. 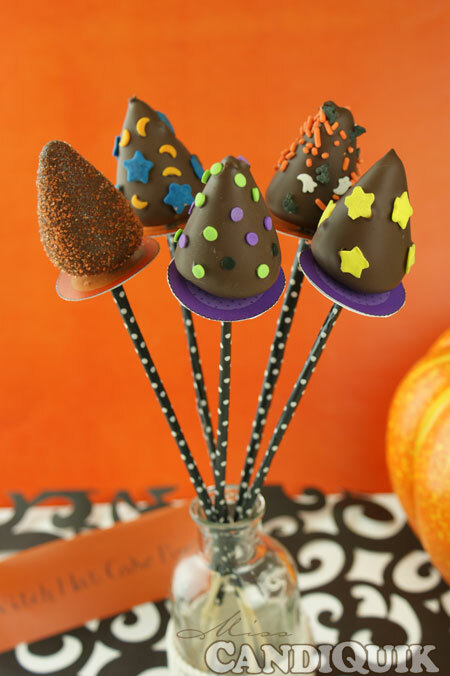 Witch hats or wizard hats, either way they’re cute and I loved making them using my My Little Cupcake mold! Grab a healthy handful of the cake mixture and place it in the mold. Squeeze the mold completely shut so that all of the excess cake mixture is forced out of the mold. 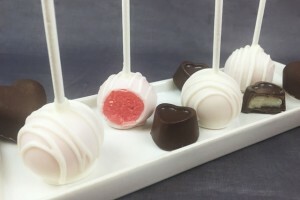 Insert a lollipop stick into each cake “cone”. 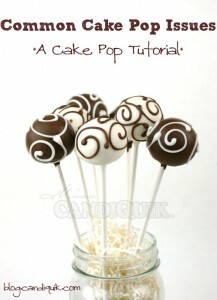 Dip cake pops in CANDIQUIK; allow excess coating to drip off. Sprinkle as desired. Place in Styrofoam block to set. 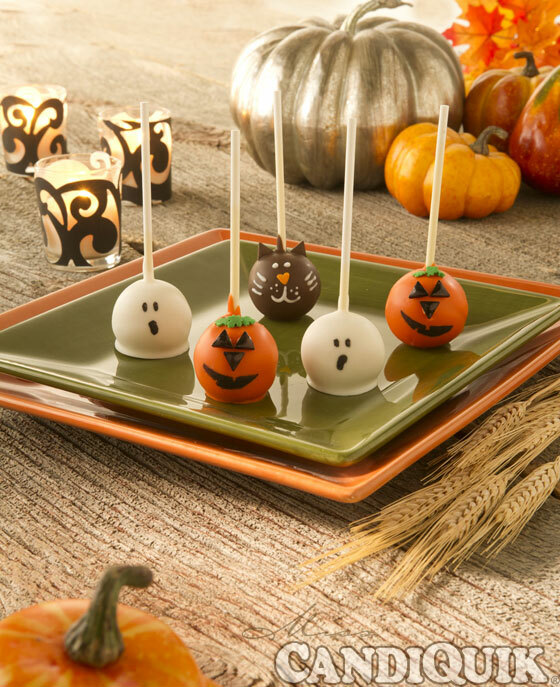 Once the cake pops are completely set, cut a small hole in the center of the printable tag and slip on your cake pop, resting against the bottom of the cake pop to form the rim of the witch hat! It’s all these guys’ fault. 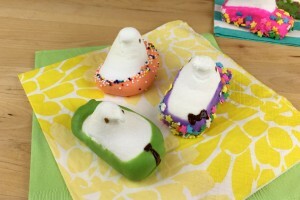 Check out the recipe here or the video (these were made on TV) here! Nothin’ fancy here. 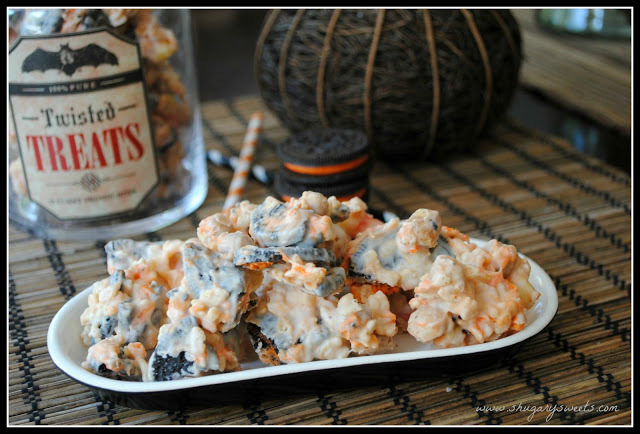 Just a super tasty, sweet & salty treat that you can wait until last minute to pull off! 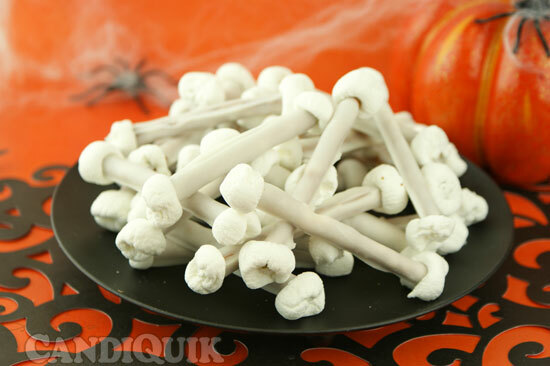 Dip pretzel sticks in the candy coating and place on wax paper to set. Once set, press a marshmallow on each end of the pretzel stick. 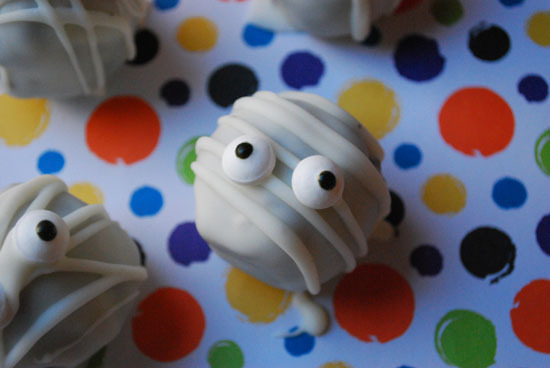 Love all the mummy treats! They are so easy – because being messy is the key here! 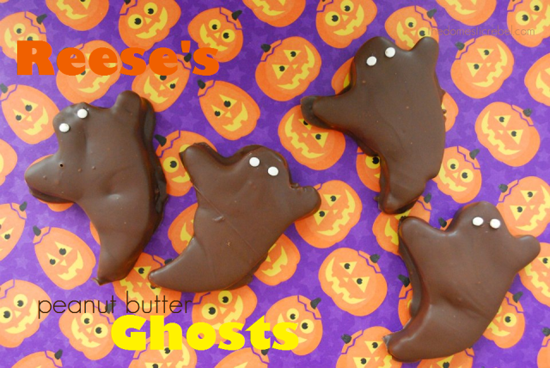 Chocolate Dipped Halloween Peeps from Love from the Oven! Ok…I have to squeeze in ONE more. Making that 14. Just consider it a bonus. 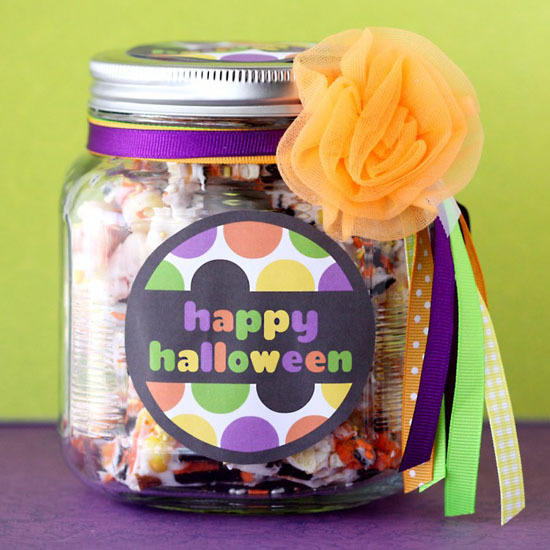 Tricky Trash Candy from Shugary Sweets. 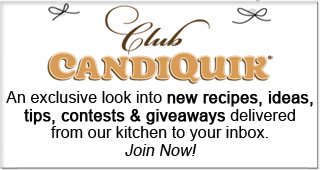 One more thing…if you want to enter a sweet contest for the opportunity to win a CandiQuik Surprise Pack, check out Love From the Oven’s giveaway!!! Hurry, ends November 1st, 2012. 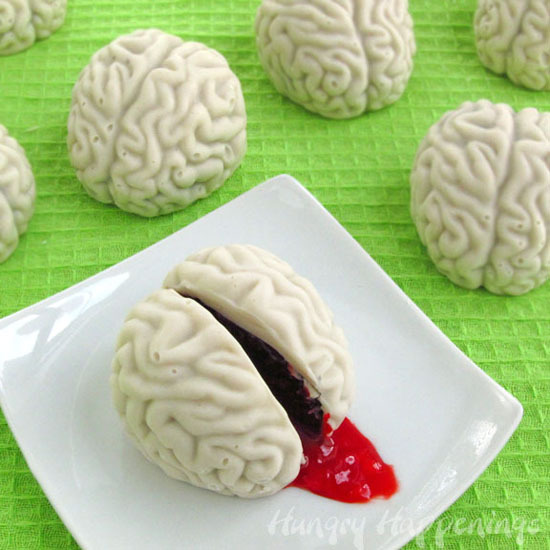 I just love all the fun spooky treats. 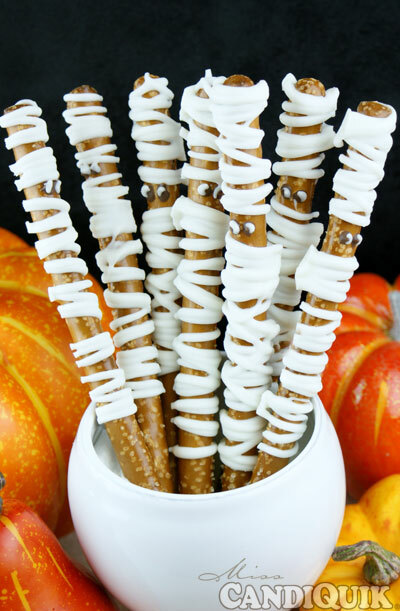 Those mummy pretzels with the eyes cracks me up every single time I see it. Thank you so much for sharing my popcorn too!!! Thanks! 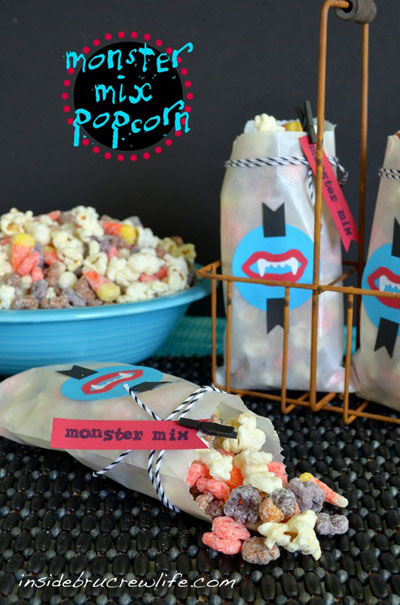 I recently re-made those, only using the big eye candies on the mummy pretzels and they looked even more silly, but silly is good! Awww, love that you snuck me in as a bonus Sarah Thanks for the love!!! Absolutely! If I would’ve seen it earlier, it would’ve been included! For some reason, my *insert negative remark* facebook page only shows certain pages so I miss a lot! I guess I need to check my bloglovin’ more often :). Have a great weekend! 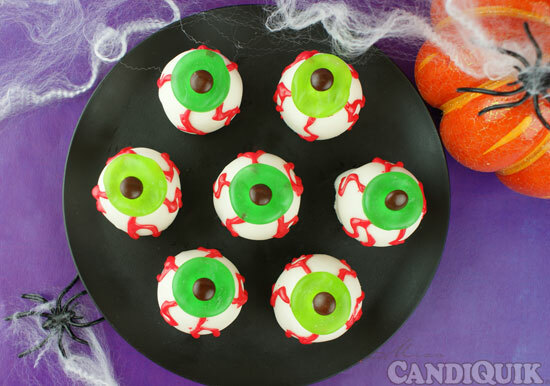 I’d like to make the eyeball ones!